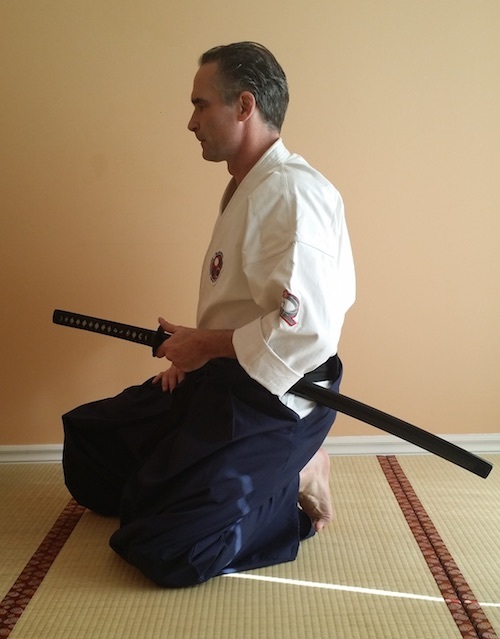 This position enables the practitioner to move quickly to either side and execute a sword strike. 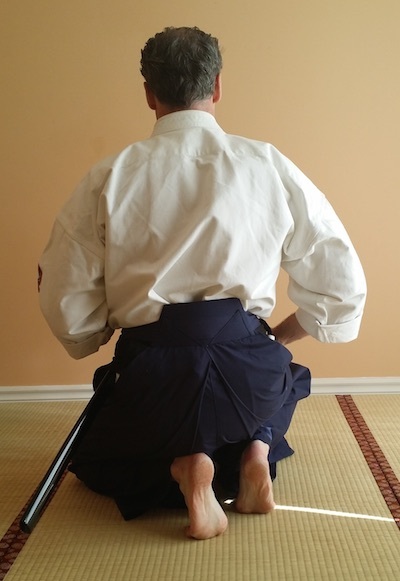 It is more versatile that the Kiza position where the practitioner is on the balls of the feet and naturally much more versatile than having to move out of the traditional sitting position of Seiza. 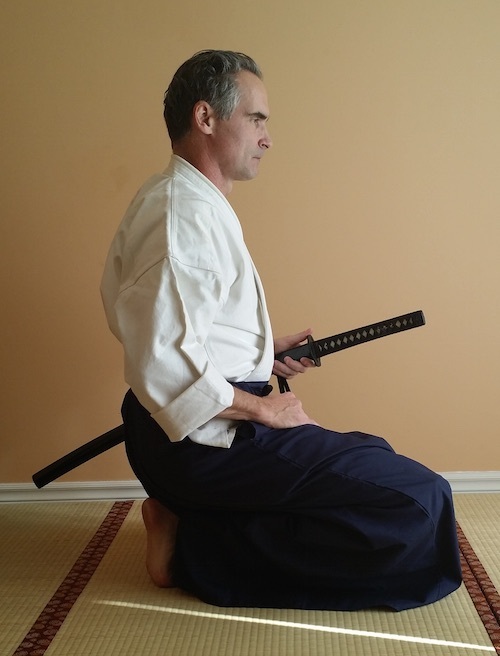 The important point to keep in mind is not to lean forward and to keep the back straight. 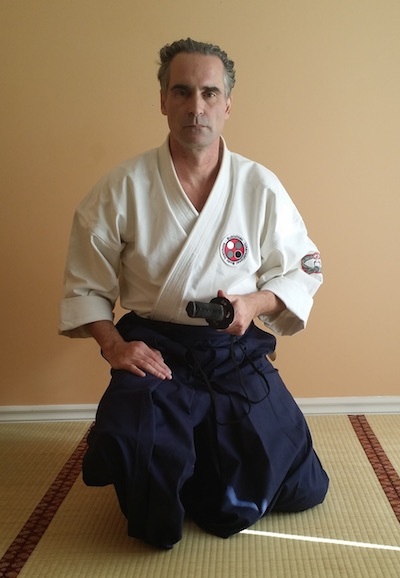 However, remain relaxed so that movement can easily flow from this position.